I Made a Mistake. But Have Been Forgiven. By the Ospreys. This is a long post. Confessions tend to be long. And I don’t even know how to begin. 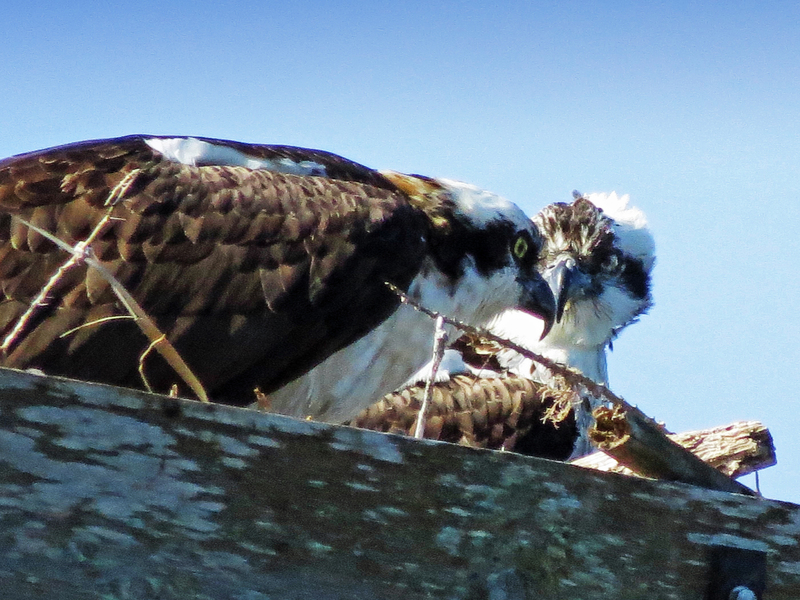 But I can’t do another post about the Osprey family without telling the truth. Now that I know it. Since I already gave a name for Papa, I thought I’ll need to give one for Mama too. She cannot simply be “PO” any more. She will be Sandy…because she’s living in Sand Key Park. 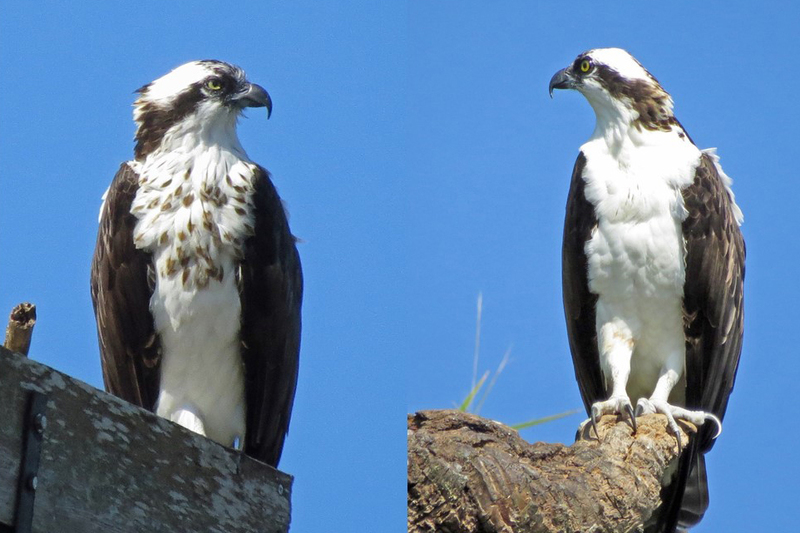 So please check out the handsome couple: Mrs. Sandy and Mr. Stanley Osprey. Last Sunday, January 11, I went for a jog around salt marsh. 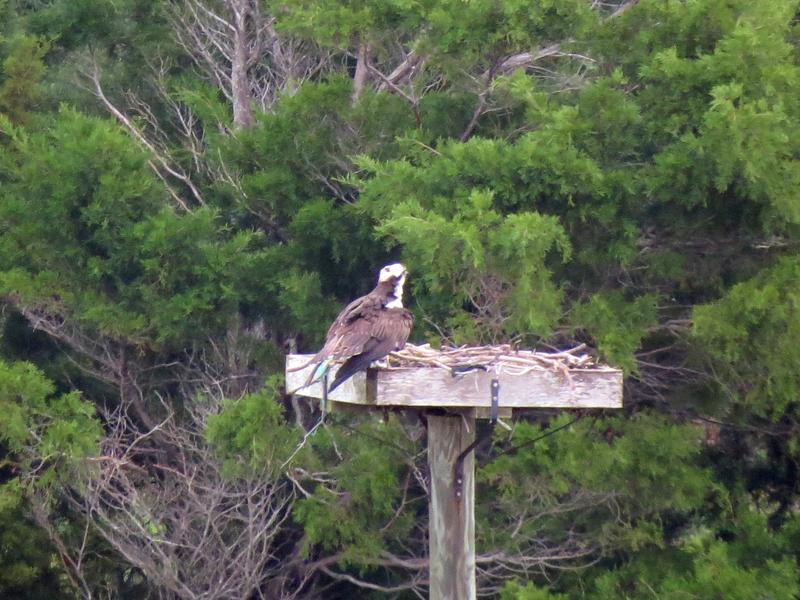 I saw Mama Sandy in the nest, but still thought it was Papa Osprey. She was calling and calling! 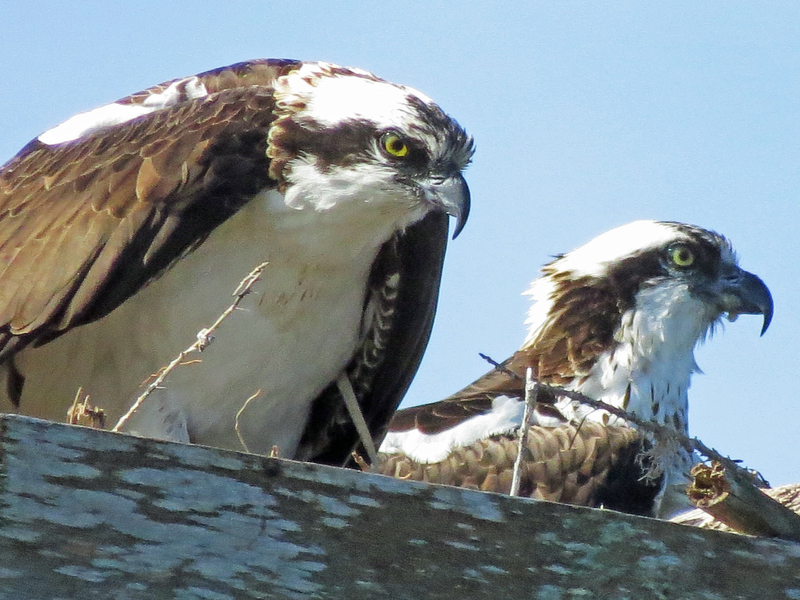 But it was a call that I recognized Mama Osprey did repeatedly last year, and I had not heard “PO” do, ever. “Bring me fish! !” I realized something was not right. Listen to this. 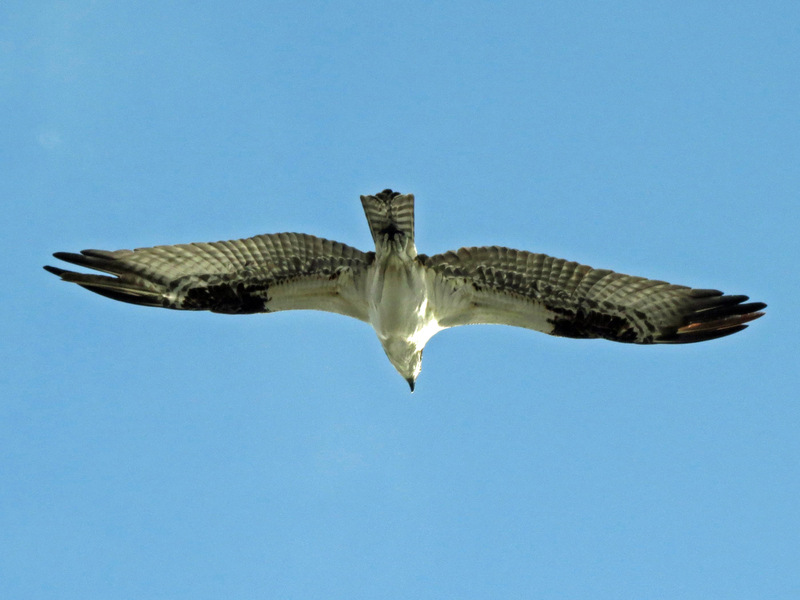 She continued to call for about 10 minutes, and then suddenly (just when I was talking to another jogger, of course) I see an osprey fly in with a fish for the osprey in the nest. 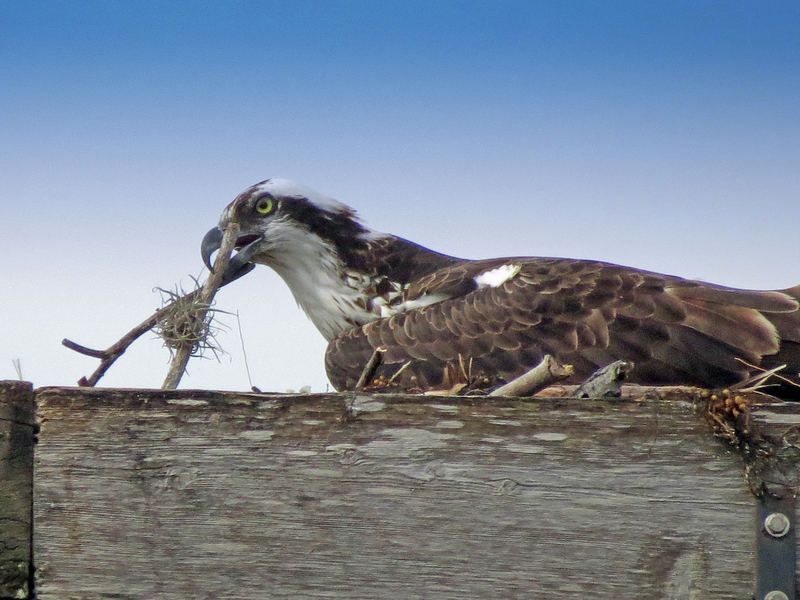 Male ospreys do that when they start courting and rebuilding the nest. He feeds her. I still wasn’t willing to admit my mistake. But the next day, I witnessed (from my terrace) Papa Stanley performing the “sky dance” when Mama Sandy was in the nest. He hovered high above the nest and then did a dramatic dive, rose again and dove again. I got one good picture of his flight and another of Mama in the nest. Then I’ve followed them all week long from my terrace. They have continued their courtship and the big nest remodeling project. Today I saw them both in the nest and apologized for my embarrassing mix-up. They seemed okay about it, both of them tolerated me in their social space. I could approach the nest with no alarm calls from Papa Stanley. In a way it’s good that I am bff with Mama Sandy, since she’s the one who’s going to feed the nestling(s). Maybe I can get closer than last year to take pics of the little one(s) without her being alarmed. Thanks H.J.! Luckily they don’t read my posts 🙂 I’m happy the nesting season for the two of them has started. Now I can laugh about it, but first I couldn’t believe it. Mama is something else! Yes, Stanley is impressive, I still need to learn to adjust my zoon quickly when he’s going to fly 🙂 Have a great weekend yourself! I’m sure Sandy and Stanley will forgive you, especially since you’ve been featuring them so nicely in your posts 🙂 They are a beautiful couple and I look forward to seeing more of their adventures! 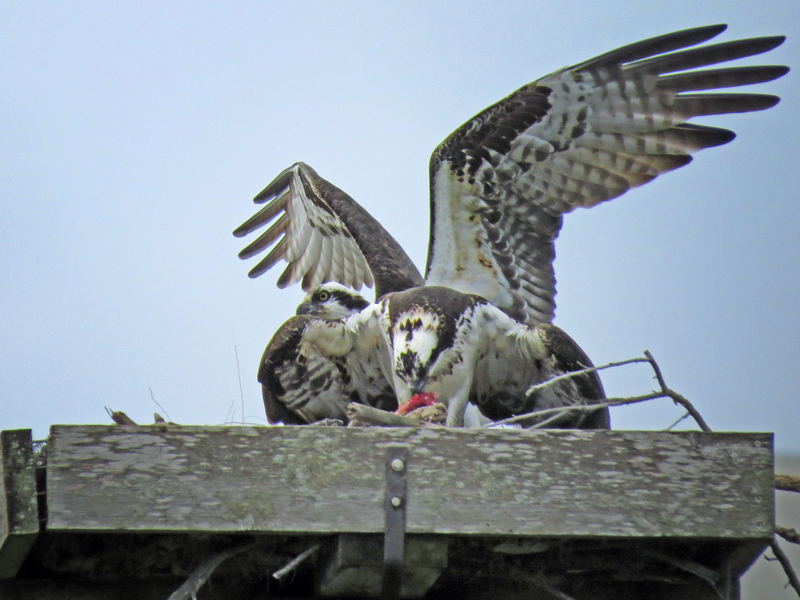 I studied osprey behavior after the nesting season last year, and Sandy did not behave like a typical female osprey. She truly fooled me 🙂 They are a beautiful couple and in full gear on their remodeling of the nest. It gets bigger and better every day 🙂 Have a wonderful weekend, Takami. I can tell the difference now that I can see them in close-ups. I couldn’t believe my ears when I heard the request for fish! Sandy is something else! Last year I saw she knew exactly how she wanted the nest to be, but now we know so much more about her. I like the names too 🙂 Have a good weekend, my friend! The closeups are amazing! You are really THE bff! What a great drama. I look forward to the future episodes! Happy you enjoyed our couple! LOL, well, I’m really glad that’s been sorted out! 🙂 They are beautiful birds, that’s for sure, and I’m really looking forward to seeing the babies in due course. Keep the photos coming, please! Isn’t the male always smaller than the female? Yes, and Stanley is a little smaller when you see them perching in a position where you can compare. In today’s pictures he was in the forefront. It is! Happy you like their story, Andy. Hilarious! They are so beautiful. It was hilarious and embarrassing to make that mistake, but luckily they don’t read my posts 🙂 and everyone else can have a little fun on me! They are a beautiful couple and it’ll be interesting to see how many offspring they’ll have this year. Great pictures, they will forgive you on that basis alone. Thank you for your comforting comment! Oy! I am so confused. But enjoyably so. 🙂 I understand the need/desire to rename both birds but to me they will remain PO and MO – genders just reversed. I hope they don’t mind. More importantly, I’m glad the courtship is in full swing and the photo of MO (formerly PO) redesigning the nest is spectacular! What a glorious confusion. Almost like an opera where the woman disguises herself as a man etc. The most important thing is that they are together again. I had them “right” last year and then I confuse them and created this “opera act” 🙂 But luckily their “nestorations” are in full swing now and they are not confused about where this is going! Haha! 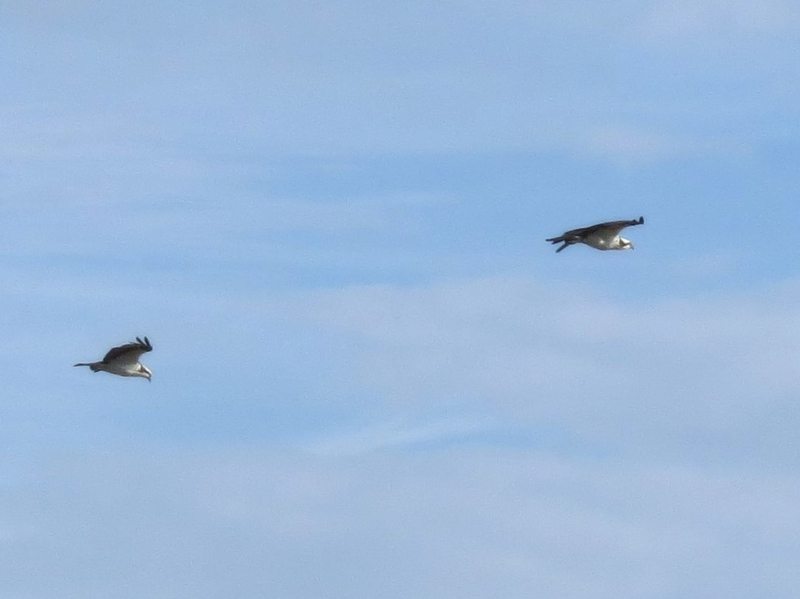 Here I was, impressed that you had discerned the gender of the various osprey (when I give myself a pat on the back for distinguishing between Great Blues, Egrets, Roseates, Ibis, Osprey, Eagle, etc. ), and named the characters in the park with suitable monikers. No matter. YOUR photos are worth a thousand mixed up muddled up words . . . and Stanley and Sandy agree! I love it! 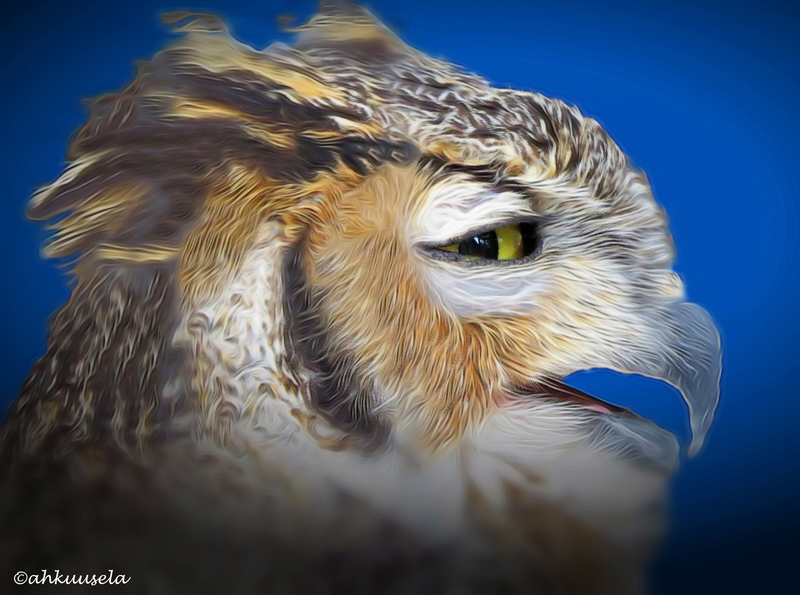 Just like a great book…this story has plot twists, turns and surprises! Love the close ups you are able to capture. And the video/audio! How fun! Papa. Mama. It’s all one and the same – spectacular. Yes! Mama. Papa. Parents. Happy you liked them, David. Oh gosh, Tiny. This is a magnificent post. WONDERFUL photos. And that call! I’m sure no one cares a bit about the Mama and Papa confusion. You do of course, because you have observed them so closely, and you do not want to do them a disservice. Thanks Tish! I know the call so well and that’s when I started to doubt myself, observed them closely and researched my files again. But now we are in the clear, they are happily building their home and that’s all that matters. 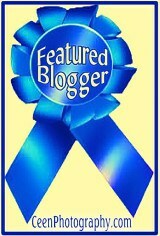 Woohoo Tiny!! SO great to see them together … and to see the difference between male and female. Sandy and Stanley are amazing! 😊 we did that with a cat once – thought it was a girl and pregnant until the vet informed us that ‘he’ was just fat! That’s quite hilarious too 😀 I’m happy I’m not alone! I think I was a bit conditioned by their “normal” behavior and did not check my own (not so clear last year) pics carefully enough…that was a tiny lesson right there…and yes, I think it works too!